Costa Rica is widely considered one of the most progressive nations in the areas of ecological and economic sustainability. With a pledge to be carbon neutral by 2025 and regular top rankings in the Happy Planet Index, the progressive Central American country is a prime location to study values-based decision-making and leadership for the common good. 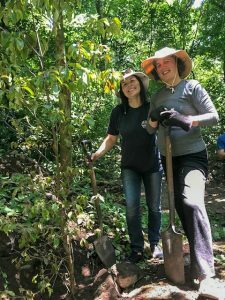 For the past four years, graduate students in Eastern Mennonite University’s residential MBA program and its affiliate program, the Collaborative MBA, have done just that during an eight-day international residency course. Professor Jim Leaman created the course specifically for the Collaborative MBA program, a joint program of EMU, Bluffton University, Canadian Mennonite University and Goshen College. The online program features three residencies at the beginning, middle and end of the two-year program. 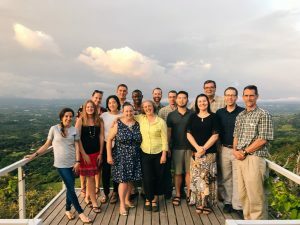 “The Costa Rica residency happens in the middle of that curriculum, which helps to connect students who have met just once before and have then been working together online,” Leaman said. 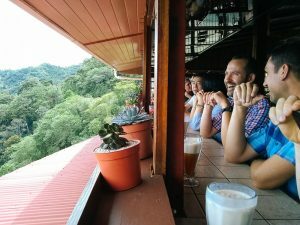 EMU’s residential MBA curriculum also requires cross-cultural immersion; students have the option of choosing the Costa Rica course or a similarly themed 8-day course in Appalachia. Students regularly say that the immersive cross-cultural experience — shared with classmates bringing leadership experience from a variety of fields — is among the pivotal, transformative points of their educational journey. Learn more about the online Collaborative MBA program here and EMU’s MBA program here. Based in Atenas not far from the capital city of San Jose, students participate in a busy itinerary, packed with site visits to a variety of businesses, including health care providers, eco-tourism sites, and agricultural cooperatives; Q & A sessions with owners, employees and community leaders; and opportunities to interact with the culture and customs of Costa Rica. Students bring various perspectives and interests to their experience, which broadens the learning for all involved. For example, Petra Mbugua is a Slovakian native who supervises housekeeping services for a major resort in Virginia. 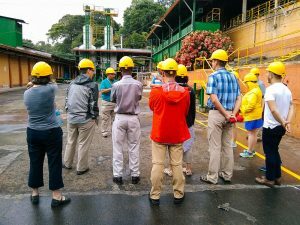 She was attentive to the recycling, energy and water conservation practices in Costa Rica’s hospitality industry, which brings in $3.8 billion annually. Marcus Ebright Zehr, a nurse anesthetist and health care administrator from Goshen, Indiana, found himself comparing not only the health care provider systems of the two countries, but the values he witnessed. One of Ben Bontrager’s radical takeaways from the residency – he had several – was philosophical. The CFO of Goshen Health in Goshen, Indiana, Bontrager is very invested into helping move his organization towards sustainability goals. 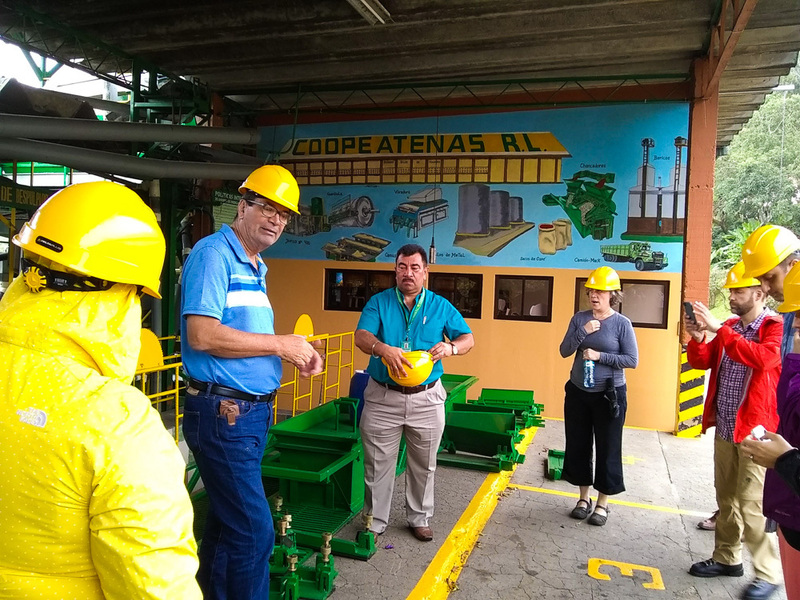 Listening to farmers, parents, politicians and business owners – Costa Rican residents each impacted in their daily lives by climate change – helped him to realize that sustainability was not an achievement or an accomplishment nor was it going to be without conflict. More reflection occurred after sharing a meal with a family from a nearby barrio, which helped him to see how relationships are at the core of making progress together. After initial awkwardness subsided and similarities emerged through hesitant conversation and shared humor, “we found common ground in our humanity,” he said. His takeaway: As Bontrager works alongside others toward building sustainability awareness, he recognizes the value of focusing more on common values instead of letting differences get in the way.